Only the most committed contrarian would argue that Lewis Hamilton hasn't been the class of the Formula 1 field this season. No driver has come close to delivering his consistent pace, sound judgement and killer instinct on race day during 2018 - except perhaps one. To be more precise, we should say four-fifths of a driver. 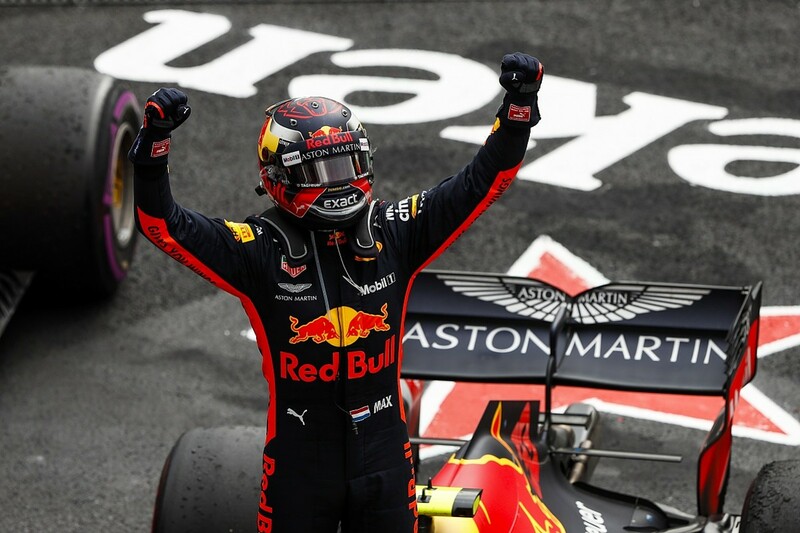 Max Verstappen has performed superbly since the first half-dozen races of the season, when he closely resembled a premium Pastor Maldonado - brilliantly fast but with a self-defeating streak that cost him two potential victories. 'Mad Max', as some rather predictably dubbed him, was all over the place. After the first 28% or so of the campaign, he's performed superbly. Intermittently he has batted away countless such questions (fortunately never with a cranial impact). Even when posed positively, drawing on the fact that he has performed so well, the irritation he's felt at the impertinence of his interlocutor has raged below the surface. He left room for no doubt - nothing had changed. And yet something clearly did change in Verstappen. Perhaps he considers the constant phrase 'change of approach' and its variants to encapsulate something more fundamental than what he has done. But whatever you choose to call it, there has been a difference in him that has had a very significant impact. But after his brilliantly executed victory in the Mexican GP last weekend, Verstappen did concede there was a difference now to the difficult early stages of the season in his answer to a question from Autosport's own Scott Mitchell. "The difference is I just listen to myself," said Verstappen. "I do my own thing. If I was maybe overdriving or something, my dad would always tell me, 'Max, even if you think you are not going fast enough, it's still fast enough'. So basically I just backed it out a little bit and that seems to make me a bit faster." You might boil that down to one simple aphorism: don't try too hard. A significant lesson, and one that has been at the heart of many great champions fulfilling their potential. That potential is undeniable. Verstappen is not merely a fast, race-winning grand prix driver, but very likely will become more than that. While a divisive figure, he also has a firm following, as proved by his 16 public vote driver-of-the-day awards since the start of 2016. He made his Formula 1 debut at the mind-blowingly young age of 17 already as a stellar performer, the result of intensive training, from the moment he first sat in a kart, from father Jos. Verstappen Sr knows everything about unfulfilled potential. His 106-start grand prix career commenced amid great fanfare in 1994, yet he ended up with a CV comprising just two podium finishes. He has talked in the past about his desire to give Max all of the support and wisdom garnered during a racing career that, while still successful by the standards of most, fell short of what was expected partly because of that lack of battle-hardened guidance. As a result, Max has always been a driver in a hurry. Initially, he used interest from Red Bull's rivals, including Mercedes, to push for a place with Toro Rosso in 2015 and then force promotion to the main team in '16. A megabucks contract followed. It's a distant memory now, but heading into this year there were legitimate aspirations that the Renault engine might be up to powering Red Bull and Verstappen to a title challenge. Exactly why Verstappen's judgement was so badly awry early this season is impossible to be certain of. But it's possible his expectations were for more than just the odd victory, which perhaps played a part in the impatience of that period. Was it a refusal to accept that he didn't have a car worthy of his talent? Did he try to force the issue too much? His comment after victory in Mexico hints that this was the case and the on-track evidence supports it. He'd have won in China had he shown the same quality of judgement as team-mate Daniel Ricciardo, rather than going off attempting an ambitious pass on Hamilton, then clattering into Sebastian Vettel. 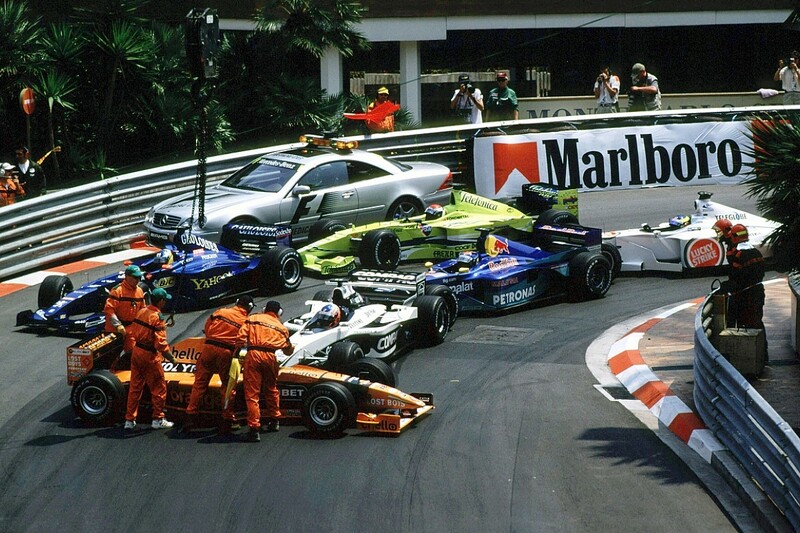 He'd have had every chance of winning in Monaco too. Crashing on a quick lap in Monaco is excusable, but not if you do it in FP3 when the best drivers know to leave a margin. Had Verstappen let it come to him, relied on the fact in both cases that he already had prodigious speed and that he only needed to be at 99% to beat others at 100%, perhaps he'd have two more victories to his name now. That's the lesson. Verstappen is very close to the level of a world champion. His speed is unquestionable, he's a great tyre manager, he can execute races well, rarely underachieves in qualifying and can pull immense passing moves out of the bag. But the big question is whether he can deliver that consistently over 21 races and match Hamilton's dependability. Hamilton lets races come to him when he can and is entirely assured and comfortable in his ability, and that's what makes him such a formidable driver. Occasionally, he forced the issue with an on-track move or a stellar qualifying lap - but it's controlled aggression. He is so accomplished that he must only live right on the edge in the most extreme circumstances. Verstappen is good enough to be secure in what he can do and not over-reach. He has conclusively outpaced Ricciardo this season and that has surely played a part in the Australian heading off for pastures new. Ricciardo, of course, accepts any number of factors contributed except for that one, but Red Bull has become Verstappen's team. At 21, Verstappen is still growing as a driver but this is his fourth full season so he doesn't get a free pass for being inexperienced. He's talked up the prospects of Honda providing an engine that can make Red Bull a regular winner next year, albeit urging caution considering it might take time to get to that point. Nobody doubts it's only a matter of time before Verstappen has a run at the title, if not with Red Bull-Honda, then somewhere else. He's too good not to get that chance. And when he does, the lesson that he's applied this year - that of not forcing the issue - will be critical. He needs to be more like the Hamilton we've seen over the past two years, be a driver who has been there and done that so many times that his judgement is close to impeccable. When fighting for a title, that's critical. Verstappen is a fascinating character, who demonstrates a real reluctance to admit mistakes. Not all, it must be added. For example, he was quick to accept he made an error in China, so let's not simply cast him as a petulant child. He's more than that. But some of the other errors he will consistently deny were his. There's something in common with Hamilton here. In his early days, he sometimes found it difficult to come to terms with the odd mistake. Today, Hamilton finds it easier to do so and perhaps that's why he is more willing to. In turn, it's perhaps why he rarely has to these days. 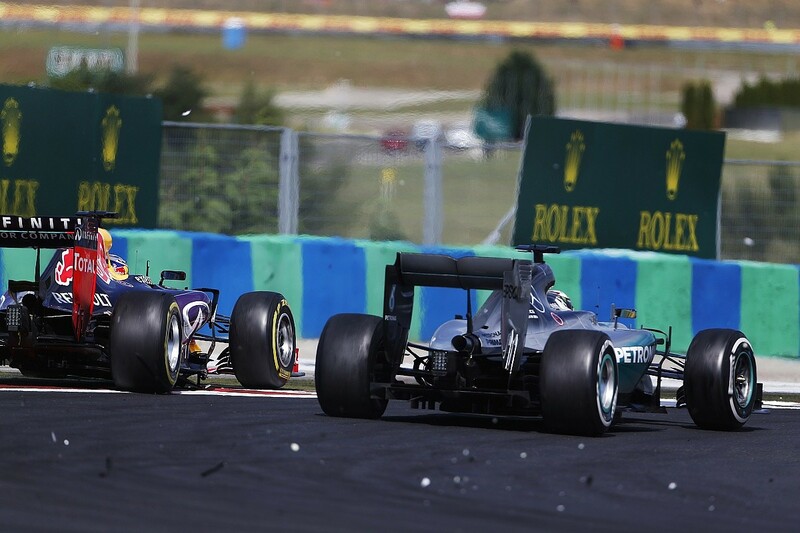 The last time Hamilton was held responsible for an incident by stewards was more than two years ago, when he collided with Ricciardo in the 2015 Hungarian GP. The psyche of a great racing driver is always on a knife-edge. The greats are all intensely driven, many with a ruthless desire to do everything they can to triumph. Some of them have overstepped the mark in doing so. Some have struggled to accept they are fallible because it would make them less than they are. This is a great weapon to have in your armoury, but the wires can get crossed and sometimes they overstep the mark. But since that early season bad run, Verstappen has danced along the tightrope very effectively. The first race after that sequence was in Canada, where he showed sound judgement by backing out of a potential pass on Valtteri Bottas. He seized his victory chances in Austria and Mexico brilliantly, and might even have given Hamilton a run for his money in Singapore had engine stutters on his final Q3 lap not denied him a shot at pole position. And there have been plenty of other excellent drives to top-six positions. There's a 'but' coming, though; Verstappen has not been absolutely perfect. Twice he's been given time penalties for on-track clashes, and justifiably so. Moving in the braking area is a consistent problem and forcing Bottas off the track at Monza was needless. So, too, was giving Kimi Raikkonen no choice but to go off at Suzuka at the exit of the chicane after Verstappen missed his braking point. 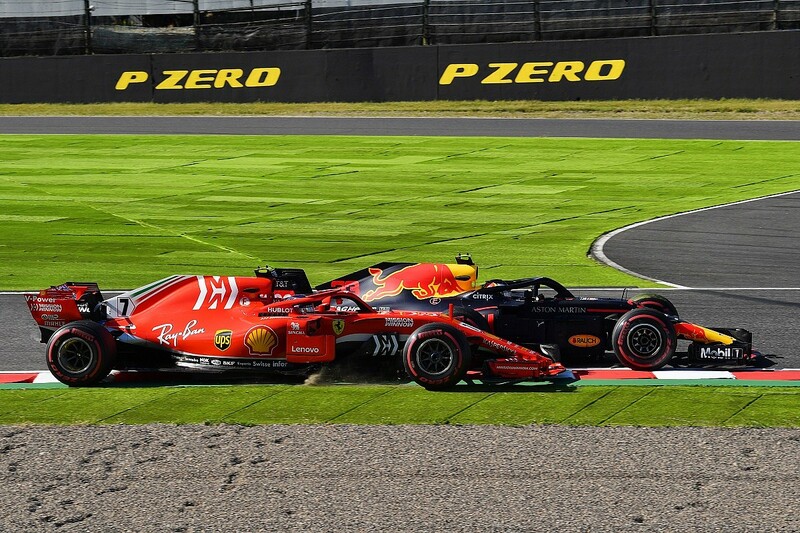 The Suzuka incident is an odd one because it followed Verstappen making an entirely unforced error. But rejoining in the way he did was always going to get him in trouble. Verstappen is currently able to race in a very different way to how he would have to in a title fight. 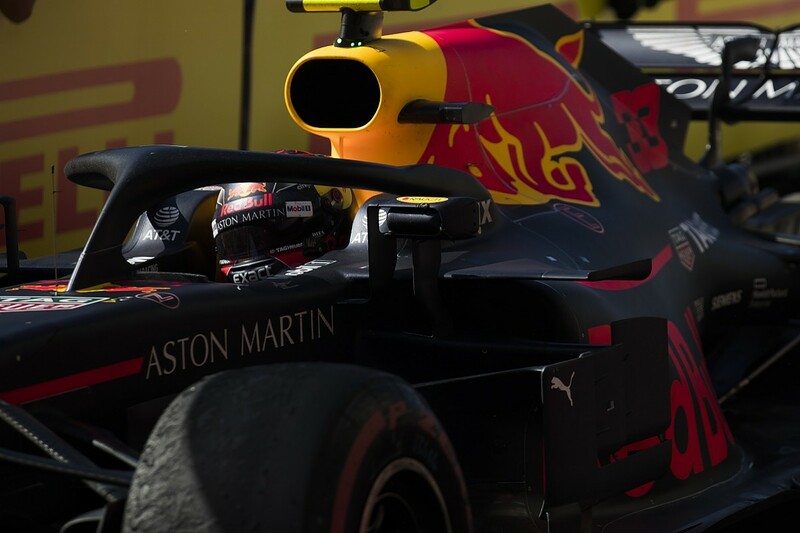 In the V6 hybrid era, Red Bull has been a team that snipes for occasional victories in the knowledge that it can't be a title contender because of the limitation of the Renault engine package. Verstappen and Ricciardo have excelled at doing so. This means Red Bull can take risks on reliability, absorb strategic grid penalties and try to make the most of its few chances. The drivers, too, have free rein to lay it on the line. This was done brilliantly in Mexico, where the altitude was always going to create conditions for a shot at victory. In a title fight you need to be a factor week-in, week-out. Since Hamilton clinched the title, everyone has justifiably waxed lyrical about his brilliant judgement, and in wheel-to-wheel battle he has been impeccable. This is what Verstappen needs to be. In Mexico, despite his complaints about the brakes in qualifying, there was a feeling he still should have taken pole, but knowing it was on the table he slipped back into over-reaching. What happened on Sunday means that, ultimately, didn't matter. As a sniper, he's a driver that rivals can afford to be wary of. 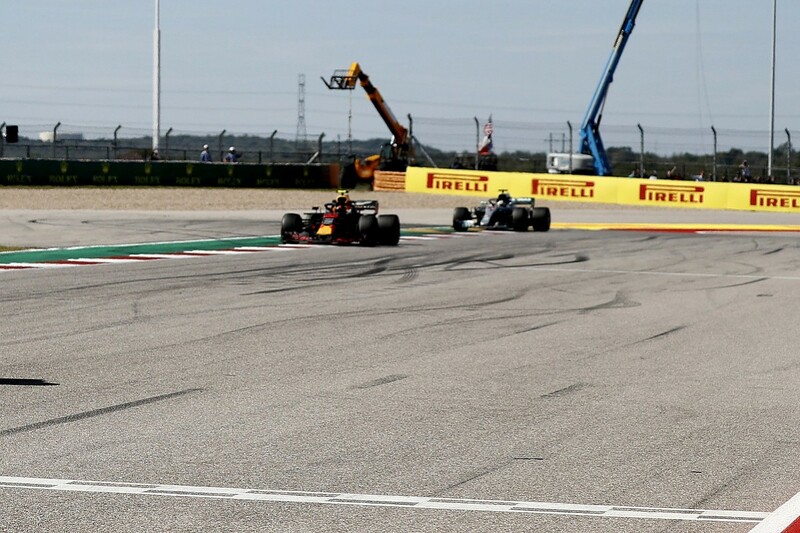 In the United States GP at Austin, Hamilton gave passing Verstappen a good go, but knew he could afford to take no risks. Were Verstappen a title rival, things might be different. What's more, those non-championship contenders also scrapping with Verstappen will give him much less leeway if he's chasing a title as the boot will be on the other foot. 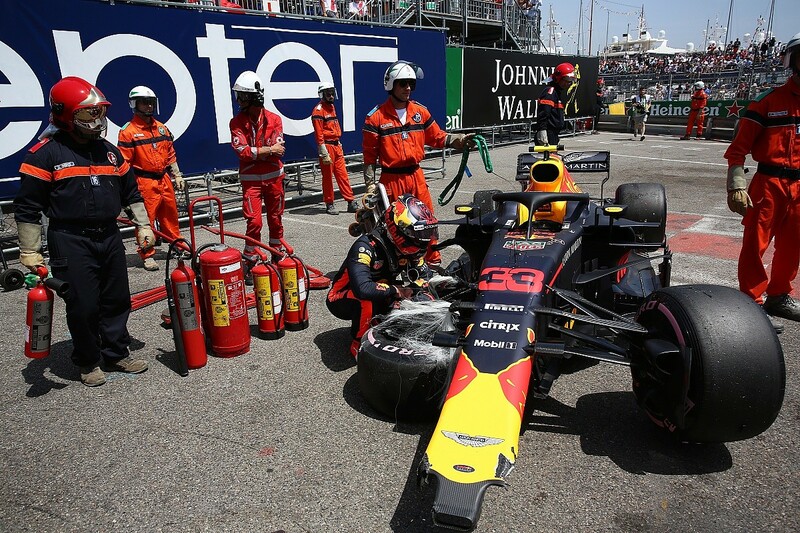 This year, Verstappen can weather some incidents and accidents in his pursuit of results. Whenever he has a run at the title, he won't be able to throw away a single point. If he does, he'll end up in the position Vettel is this year against a foe like Hamilton. What Verstappen has done this year gives every reason to be confident that he is capable of that good judgement. He still needs to ease his movements under braking in battle, but that's a minor quibble compared to the disasters of early in the season. In the 13 races from Canada onwards, Verstappen has largely driven superbly. Judged on this run of races, he's second only to Hamilton in terms of his performance, and this is the form he will need to sustain to win a title. There's every chance Verstappen will win a world championship in the future, probably more than one. He's hugely able, stunningly fast and, when he keeps the right side of the line, great in battle. And if he does so, perhaps the approach he supposedly didn't change after the first half-dozen races will be a big part in his story.